Pre-industrialization, forests covered approximately 5.9 billion hectares across the planet. Today that figure is 4 billion hectares, and still dropping. The deforestation has reduced the ability of the terrestrial plants to sink carbon in their yearly growth. The basic idea in reforestation is straightforward: plant trees and other long-lasting plants in order to take up and store carbon from the atmosphere. Development of mechanisms to plant trees in large enough scale and short enough time frame to be useful in ameliorating climate change is the difficult part. This requires automation, most obviously by use of flying drones. Biocarbon Engineering and Droneseed are two firms building technologies for rapid planting of trees. They use largish drones loaded with seed pods. The drones do require pilots, as most jurisdictions now require licensed pilots for dones, but where possible the drones are set to fly in a formation to allow a single pilot to control many at a time. The cost efficiency of this automated seeding method is not clear from publicly available information. Each reseeding project is a unique bid, and the bids are mostly not made public. Estimates of the cost of manual planting average $4940 per hectare using manual methods. Rough estimates of the cost of a Biocarbon Engineering project to reseed Mangrove trees in Myanmar is about half of what a manual effort would be. Propagate Ventures works with farmers and landowners to implement regenerative agriculture, restoring the land while keeping it productive. Biocarbon Engineering builds drones which fly in swarms, numerous drones with a single pilot, and utilizes seed pods loaded with nutrients fired from the drones toward the ground. A good percentage of the seed pods will embed into the ground, and the outer packaging will rapidly biodegrade and allow the seed to germinate. Droneseed also builds drones to plant trees, though fewer details are available. Paulownia trees which grow extremely rapidly, up to 20 feet in one year. These are native to China, and an invasive species elsewhere. Hemp: "Industrial hemp has been scientifically proven to absorb more CO2 per hectare than any forest or commercial crop and is therefore the ideal carbonsink." (source). I find it amusing that hemp may be crucial in saving humanity after all. biochar is charcoal made from biomass, from agricultural waste or other plant material. If left to rot or burned, the carbon trapped in this plant material would return to the atmosphere. By turning it into charcoal, a large percentage of the carbon is fixed into a stable form for decades. Turning plant material into charcoal is a straightforward process: heat without sufficient oxygen to burn. This process is called pyrolysis (from the Greek pyro meaning fire and lysis meaning separating). In ancient times this was accomplished by burying smoldering wood under a layer of dirt, cutting it off from air. More recently, a kiln provided a more efficient way to produce charcoal by heating wood without burning it. Modern methods generally use sealed heating chambers in order to capture all of the produced gases. the solid char, which has a much higher concentration of carbon than the original plant material. a carbon-rich gas called syngas. It is flammable, though it contains only about half the energy density of methane. In earlier times the gas generally just escaped, while modern processes capture and usually burn it as heat to continue the pyrolysis process. The temperature and length of pyrolysis determines the relative quantity of char, bio-oil, and syngas. Baking for longer time at lower temperature emphasizes char, shorter times at higher temperature produces more gas and oil. The idea of biochar for carbon capture is to intercept carbon about to return to the atmosphere, primarily agricultural waste, and turn it into a form which both sequesters carbon and improves the soil into which it is tilled. The very fine char produced from agricultural waste is quite porous and makes soil retain water more effectively. It can also improve the soil health of acidic soils, balancing the pH and making the soil more productive. Adsorption: the adhesion of atoms, ions or molecules from a gas, liquid or dissolved solid to a surface. This process creates a film of the adsorbate on the surface of the adsorbent. Temperature Swing Adsorption (TSA) for carbon capture relies on a set of materials, called carbon dioxide sorbents, which attract carbon dioxide molecules at low temperature and release them at a higher temperature. 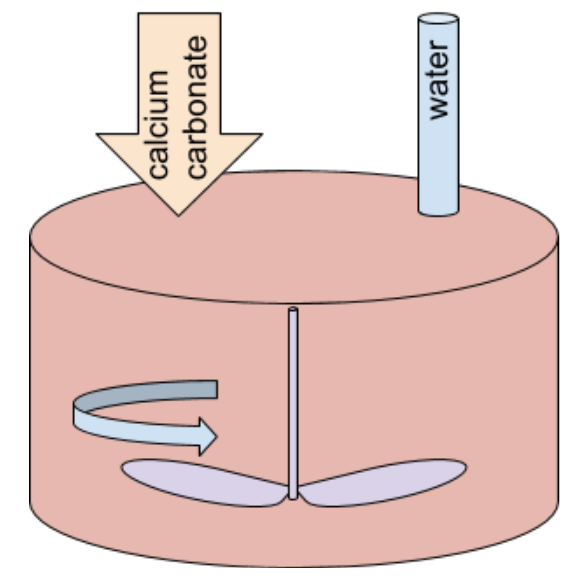 Unlike the Calcium Loop described previously, there is no chemical reaction between the sorbent and the CO2. Adsorption is purely a physical process, where the CO2 sticks to the sorbent due to the slight negative charges of the oxygen atoms and positive charge of the carbon. There are a relatively large number of materials with this sorbent property for carbon dioxide, enough to have a dedicated Wikipedia page. These materials contain porous gaps. The gaps in the most interesting materials for our purpose are the right size to hold a CO2 molecule, with a slight charge at the right spot to attract the charges of different points on the CO2. To be useful for carbon capture, the sorbent has to attract CO2 molecules but readily release them with a change in temperature. They can be cycled from cold to hot to repeatedly grab and release carbon dioxide. Unfortunately most of the known materials have drawbacks which make them unsuitable for real-world use, such as being damaged by water vapor. The most recent class of sorbents developed are Metal-Organic Frameworks (MOFs), which are chains of organic molecules bound up into structures with metals. Metal-Oxide Frameworks are interesting because they are much more robust than the previously known sorbents, not being easily damaged by compounds found in the air and capable of being cycled in temperature without quickly wearing out. Climeworks in Switzerland describes their process as a filter which is then heated to release the carbon dioxide. This is clearly an adsorption process, and almost certainly using Metal-Organic Frameworks as it is described as being reusable for a large number of cycles. Global Thermostat in New York describes their process as an amine-based sorbent bonded to a porous honeycomb ceramic structure. 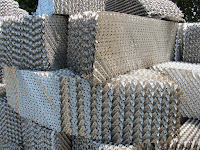 Inventys in Canada builds a carbon capture system using Temperature Swing Adsorption materials. 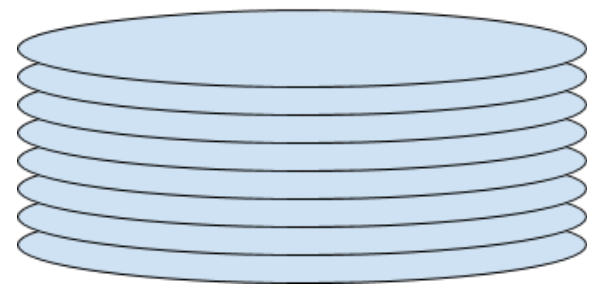 Their system uses circular plates of a sorbent material, stacked vertically, and rotates the plates within a cylindrical housing. At different parts of the revolution the plates spend 30 seconds adsorping CO2, 15 seconds being heated to 110 degrees Celsius to release the concentrated CO2, and 15 seconds cooling back down to 40 degrees to do it again. Inventys goes to some length to explain that their technology is in the whole system, not tied to any particular sorbent material. I suspect this is emphasized because Metal Oxide Frameworks are innovating rapidly, and indeed the entire class of MOF materials was developed after Inventys was founded, so they ensure that the system can take advantage of new sorbent materials as they appear. Skytree in the EU is a patent licensing firm which is fairly coy about the technologies it licenses but says they were developed as part of the Advanced Closed Loop System for the International Space Station. One of the main innovations in the ACLS is the development of a solid resin adsorbent Astrine, which means the technology is adsorption-based. Soletair in Finland aims to create an end-to-end process using adsorption and electrolysis to create feedstock for fuels. Carbon Clean Solutions has developed a new carbon dioxide sorbent, amine-promoted buffer salt (APBS). This sorbent is available for licensing. Mosaic Materials has developed a new carbon dioxide sorbent using nitrogen diamines, and which requires only half of the temperature swing to capture and release CO2. This will result in considerably lower energy cost and higher volume production. I am very interested in technologies to ameliorate climate change. The looming, self-inflicted potential extinction of the human species seems important to address. In this post we’ll examine the steps in Carbon Engineering’s Direct Air capture process, as published on their website, and explore what each step means. As I am an amateur at carbon capture technologies, anything and everything here may be incorrect. I’m writing this in an attempt to learn more about the space. A wet scrubber passes a gas containing pollutants, in this case atmospheric air containing excess carbon dioxide, through a liquid in order to capture the undesired elements. 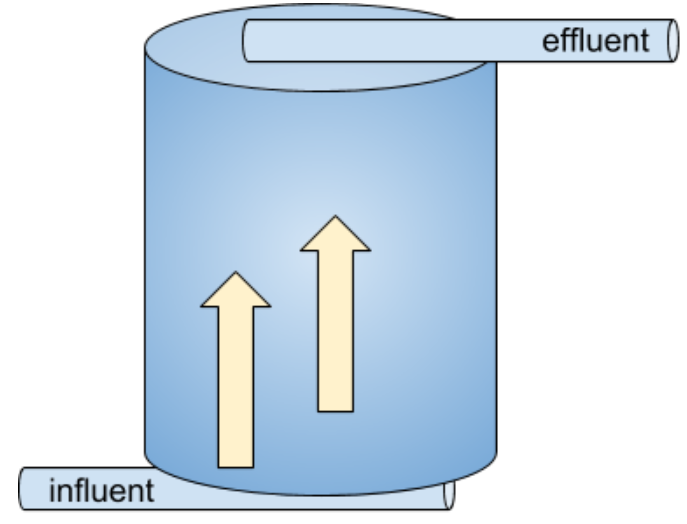 Scrubber designs vary greatly depending on the size of the pollutant being captured, especially whether particles or gaseous. 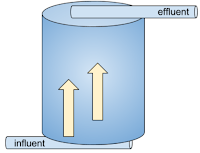 In this case because CO2 molecules are being targeted, the scrubber is likely a tall cylindrical tower filled with finned material to maximize the surface area exposed to the air. This process step uses hydroxide HO-, a water molecule with one of the hydrogen atoms stripped off, as the scrubbing liquid. 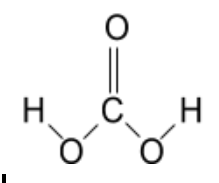 Hydroxide bonds with carbon dioxide to form carbonic acid H2CO3. It is interesting to note that this same chemical process is occurring naturally at huge scale in the ocean, where seawater has acidified due to the absorption of carbon dioxide and formation of carbonic acid. The diluted carbonic acid is pumped through a pellet reactor, which is filled with very small pellets of calcium hydroxide Ca(OH)2. Calcium hydroxide reacts with the carbonic acid H2CO3 to form calcium carbonate CaCO3, which is the primary component of both industrial lime and antacid tablets. The small pellets in the reactor serve to both supply calcium for the reaction and to serve as a seed crystal to allow a larger calcium carbonate crystal to grow. In the process, hydrogen and oxygen atoms are liberated which turn back into water. As the point of this system is a continuous process to remove carbon dioxide from air, I imagine the pellets are slowly cycled through the reactor as the liquid flows over them. The pellets with their load of newly grown crystal would automatically move on to the next stage of processing. It is important to dry the pellets of calcium carbonate as they leave the pellet reactor. The next step collects purified carbon dioxide, where water vapor would be a contaminant. Removal of the remaining water could be accomplished by heating the pellets to somewhere above 100 degrees Celsius where water evaporates, but much less than 550 degrees where the calcium carbonate would begin to break down. Hot air would be sufficient to achieve this. A calcinator is a kiln which rotates. The wet pellets loaded with crystals of calcium carbonate CaCO3 slowly move through the kiln, where they are heated to a sufficient temperature for the calcium carbonate to decompose back into calcium oxide CaO and carbon dioxide CO2. A temperature of at least 550 degrees centigrade is needed for this, and the reaction works best somewhere around 840 degrees which is quite hot. There are catalysts which can encourage this reaction at lower temperatures, notably titanium oxide TiO2, but they are quite expensive and might not be economical compared with heating the kiln. The carbon dioxide would be released as a hot gas to be collected, the calcium oxide will be left as solid grains in the calcinator. The calcium oxide can be used over and over, called calcium looping. 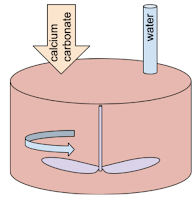 Energy is expended at each cycle through the loop to free the carbon dioxide from the calcium oxide. The solid output of the calcinator is calcium oxide CaO, also called quicklime. Quicklime is not stable, and will absorb other molecules from the air which would introduce impurities if put back into the pellet reactor. Therefore the calcium oxide CaO is combined with water to form calcium hydroxide Ca(OH)2. A slaker adds controlled amounts of water to quicklime. This reaction releases a great deal of heat, so it is controlled by a feedback loop which reduces the inflow of material when the reaction gets too hot. I imagine the waste heat from this process could provide some of the heat needed for the earlier calcinator step, though additional heating would also be needed. Carbon Engineering, which builds large scale operations using the calcium loop process to capture carbon dioxide from air. Calera, which captures CO2 to produce calcium carbonate and magnesium carbonate for industrial use. CleanO2 builds CO2 scrubbers for HVAC systems, allowing cold air from the building to be recirculated after scrubbing carbon dioxide (and likely also scrubbing water vapor and other contaminants). As the systems produce calcium carbonate as an end-product, I'm going to assume it uses the first two steps of the calcium loop as a recovery mechanism. At the end of the process we have a highly purified stream of carbon dioxide extracted from ambient air. The long term goal of this kind of technology would be negative carbon emissions, which would mean keeping the CO2 from immediately circulating back into the environment by utilizing it in a long-lived form like various plastics or graphene. The technology also allows carbon neutral fuels to be made for applications where energy density requirements are higher than what battery chemistries are likely to provide, such as airplanes or ocean going vessels. Using carbon which was already in the atmosphere for these applications is much better than digging more carbon out of the ground. Technical Report 69 from the Broadband Forum is a management protocol called the CPE WAN Management Protocol (CWMP). It was first published in 2004, revised a number of times since, and aimed at the operation of DSL modems placed in customer homes. Over time it has broadened to support more types of devices which an Internet Service Provider might operate outside of its own facilities, in the residences and businesses of its customers. It was defined during the peak popularity of the Simple Object Access Protocol (SOAP). CWMP messages are encoded as SOAP XML. Like SNMP and essentially every other network management protocol, it separates definition of the protocol from definition of the variables it manages. SNMP calls them MIBs, CWMP calls them data models. It recognizes that firewalls will be present between the customer premises and the ISP, and that the ISP can expect to control its own firewall but not necessarily other firewalls between it and the customer. It makes a strong distinction between the Customer Premises Equipment (CPE) being managed, and the Auto Configuration Server (ACS) which does the managing. It does not attempt to be a generic protocol which can operate bidirectionally, it exists specifically to allow an ACS to control CPE devices. A few years ago I helped write an open source tr-69 agent called catawampus. The name was chosen based mainly on its ability to contain the letters C W M P in the proper order. I’d like to write up some of the things learned from working on that project, in one or more blog posts. One unusual thing about CWMP is connection management between the ACS and CPE. Connections are initiated by the CPE, but RPC commands are then sent by the ACS. Keeping with the idea that it is not a general purpose bidirectional protocol, all commands are sent by the ACS and responded to by the CPE. tr-69 runs atop an HTTP (usually HTTPS) connection. The CPE has to know the URL of its ACS. There are mechanisms to tell a CPE device what ACS URL to use, for example via a DHCP option from the DHCP server, but honestly in almost all cases the URL of the ISP’s ACS is simply hard-coded into the firmware of devices supplied by the ISP. The CPE device in the customer premises initiates a TCP connection to the ACS, and starts the SSL/TLS handshake. Once the connection is established, the CPE sends an Inform message to the ACS using an HTTP POST. This is encoded using SOAP XML, and tells the ACS the serial number and other information about the CPE in the <DeviceId> stanza. Several fields are highlighted above: the EventCode tells the ACS why the CPE device is connecting. It might have just booted, it might be a periodic connection at a set interval, or it might be because of an exceptional condition. The ParameterList, also highlighted, is a list of parameters the CPE can include to tell the ACS about exceptional conditions. The ACS sends back an InformResponse in response to the POST. If the CPE has other conditions to communicate to the ACS, such as successful completion of a software update, it performs additional POSTs containing those messages. When it has run out of things to send, it does a POST with an empty body. At this point the ACS takes over. The CPE continues sending HTTP POST transactions with an empty body, and the ACS sends a series of RPCs to the CPE in the response. There are RPC messages to get/set parameters, schedule a reboot or software update, etc. All transactions are sent by the ACS and the CPE responds. The ACS can send multiple RPCs in one session with the CPE. Only one RPC can be outstanding at a time, the ACS has to wait for a response from the CPE before sending the next. When the session ends, it is up to the CPE to re-establish it. One of the parameters in a management object is the PeriodicInformInterval, the amount of time the CPE should wait between initiating sessions with the ACS. By default it is supposed to be infinite, meaning the CPE will only check in once at boot and the ACS is expected to set the interval to whatever value it wants during that first session. In practice we found that not to work very well and set the default interval to 15 minutes. It was too easy for something to go wrong and result in a CPE which would be out of contact with the ACS until the next power cycle. There is also a mechanism by which the ACS can connect to the CPE on port 7547 and do an HTTP GET. The CPE responds with an empty payload, but is supposed to immediately initiate an outgoing session to the ACS. In practice, this mechanism doesn't work very well because intervening firewalls, like the ISP's own residential gateway within the home, will often block the connection. This is an area where the rest of the industry has moved on: we now routinely have a billion mobile devices maintaining a persistent connection back to their notification service. CPE devices could do something similar, perhaps even using the same infrastructure. High Output Management by Andy Grove was first published in 1983, making it one of the earliest books about management in the technology industry and an influential book about management overall. I recently read the 2nd edition, revised in 2015. Though the revisions help in updating the material, the book does still strongly resonate of the 1980s. Some of the examples concern Japanese DRAM manufacturers crowding out US firms, the rise of the PC industry, and the business climate of email beginning to replace telephone and memos. Nonetheless, management techniques change much more slowly than technology, and there is quite a bit of useful material in the book. Grove’s point is that managers should be evaluated based on the performance of their own organization, plus the extent to which they influence the output of those who don’t directly report to them. This is especially important for knowledge leaders who provide technical direction for a large organization in particular areas, but without having large numbers of people reporting to them on the orgchart. 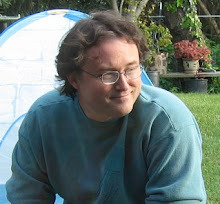 The examples Grove uses are typically concerned with manufacturing and production, which was a particular strength and focus of his at Intel. It is notable that 30+ years later, we’re still not very good at evaluating management performance in influencing adjacent organizations. Manager evaluations focus mostly on their direct reports, because that is more straightforward to judge. The incentives for managers are therefore to grow their org as large as possible, which isn’t always the best thing for the company even if it is the best thing for the manager. It is important to monitor output, not just activity, or you’ll end up emphasizing busywork. An example Grove gives is a metric of the number of invoices processed by an internal team. That metric should be paired with a count of the number of errors produced. Any productivity metric needs to be paired with a quality measurement, to ensure that the team doesn’t feel incentivized to produce as much sloppy work as possible. Even more importantly, the indicators need to be credible. If you won't act on them by taking big (and possibly expensive) steps, then all the monitoring will produce is anxiety. The business indicators need to be invested with sufficient faith to act when a new trend is clear, even if that trend has yet to percolate up in other, more visible, ways. Though we will always deal with interruptions or emergencies or unexpected issues, a big portion of a manager’s job is predictable. You know how often you should have career discussions with team members, and when performance appraisals should be done, so put career discussions on the calendar a quarter before performance appraisals. You know when budgeting will be done, put milestone planning on the calendar two months before that. For lull times between the scheduled activities, Grove recommends a backlog of manager tasks which need to be done but don’t have a hard deadline. This also nicely reduces the temptation to fill the lull periods by meddling in the work of subordinates. I feel like this is something management as a profession has gotten better at since the book was initially written. Practices may vary across companies, but on the whole I feel like there is perhaps more structure for managers than the book implies from earlier times. Grove makes a point several times that technology changes quickly so the company needs to keep hiring younger workers straight out of university, where they will have learned the latest technology. As engineers become more senior they can move into leadership and management roles and leave the technology to those more recently graduated. It assumes that technology work is 100% technical, that communications skills and leadership are entirely separate and can be supplied by those senior engineers who move into management roles. There are far fewer managers than engineers. This idea takes it as given that universities should produce a large number of grads for corporations to chew through, and discard most of them in favor of fresh graduates. It seems like corporations could find a better use for their senior engineers than to discard most of them. It implies that all of this new tech comes from somewhere else, perhaps from Universities themselves, and that senior engineers play no role in developing it.